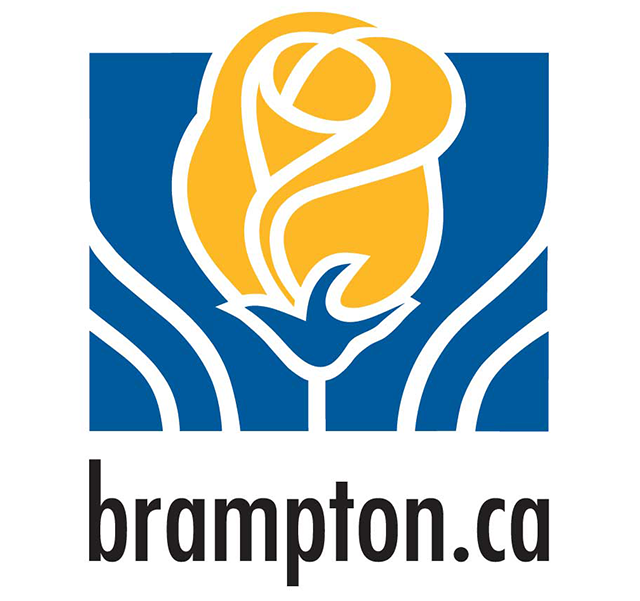 With a population of 600,000, Brampton is Canada's ninth most populous municipality. The City has signed a two year agreement for hind-smith.com to provide FileMaker development and support services to the over 300 city employees that use both FileMaker desktop application and web services on a daily basis. Central Erin Property Management specializes in residential, condominium, industrial and commercial / retail management in southern Ontario. The firm oversees the assets of more than 3,000 residential units, encompassing the rental and condominium marketplace. 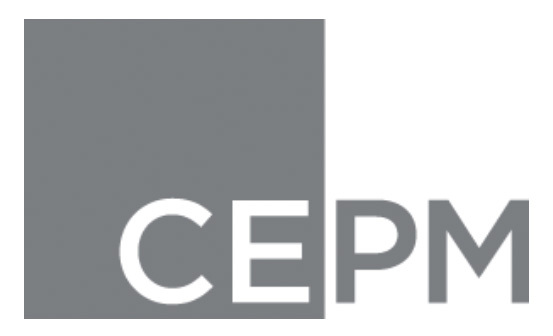 CEPM also manages in excess of 1,000,000 sq. ft. of commercial, industrial and office real estate. We created a Filemaker 15 system to track the tens of thousands of details required to manage their properties and provide online reporting to their customers. The integrated system combines a powerful Filemaker driven web portal, iPhone inspection tools for their property managers and contractors, and desktop software for head office to monitor activity. Tenants are able to submit issues and queries via the web portal and to see when regular maintenance has been scheduled. Using an iPhone, property managers are able to take pictures and videos of building issues and submit them with commentary into the system. They are able to complete check in/out documentation for when a tenant is leaving a unit or moving into one. Property shareholders are able to view building reports, financial, and legal documents associated with properties they own. Property Management head office are able to manage all information related to properties via the desktop client, and dynamically make changes to the web portal with a user friendly content management system reducing the need for IT overhead. Atlantic Packaging Products is a privately owned company that has been in business since 1945. From corrugated packaging, paper bags, retail displays, pre-print, supply and inventory management, paper mills and recycling, Atlantic is Canada’s leading packaging firm. The company approached hind-smith.com to update its’ sales technology. The 50 person Atlantic sales team were taking orders from customers on paper and delivering the order to the customer service team for data entry. The orders were often incomplete, illegible, and the amount of manual labour to get them into the production system was onerous. hind-smith.com has created a Filemaker 15 application that allowed the sales team to enter their order on iPads. The application was carefully developed to make sure it followed the sales team’s workflow while ensuring the information was complete and accurate. It’s always a challenging task to move a department from a paper based process to a digital workflow that makes them feel comfortable. InterAtlas Chemical is an innovative distributor with a world wide client base, regularly featured in Profitguide’s Top 200 list. The firm maintained large inventories during the last recession so it could meet clients' needs quickly, gaining an edge over rivals that had opted to squeeze their inventories. The firm was not satisfied with the ‘off the shelf’ industry tools that managed purchasing and transportation logistics, and opted to hire hind-smith.com to build a customized Filemaker 14 solution. The software we built manages all aspects of purchasing, on the water shipping, warehousing, sales orders, and delivery. With the reporting dashboard hind-smith.com created, InterAtlas can tell exactly how much product are in their various warehouses, and what product is ‘on the water’ so that they can confidently commit it to a client before it even hits the warehouse. CIPF’s mandate was established by Canada’s provincial and territorial securities regulators. CIPF is authorized to provide protection within prescribed limits to eligible clients of member firms suffering losses if client property comprising securities, cash, and other property held by such member firms is unavailable as a result of the insolvency of the member firm. The organization has contracted hind-smith.com to provide regular onsite programming and support services to maintain and enhance their numerous Filemaker system. The services are provided onsite because of the sensitive nature of the data they maintain. The Alberta Union of Provincial Employees is Alberta's largest union, representing over 90,000 Albertans who work in government, health care, education, boards and agencies, municipalities and private companies. AUPE hired us to create a tool that processes data files from various employers into a consistent format that will be accepted by AUPE's Unionware SQL software. Avenue Road Arts School is a creative oasis for preschoolers, kids, teens and adults who want to develop skills in the arts, challenge themselves, unleash their imagination and have fun. We created a FileMaker based school management system to handle all aspects of running the school, from students, courses, teachers, payments and much more. We created a FileMaker based system that automatically communicates with MailChip to assist in their marketing campaigns. BrandHealth is a full-service advertising and communications agency. From our headquarters in downtown Peterborough, their talented employees provide strategic and creative services to a large roster of local, national and international clients and brands. We created a FileMaker based agency management system that handles all aspects of running this creative business. Blendtech is a part of PT Industrial Electric Co. which was established in 1977 and offers expertise in the design, engineering, installation, implementation, commissioning, training and support of bulk product handling and loading equipment, additive and dye injection, ratio and wild stream blending and a wide variety of custom process solutions. We helped them create a iPhone application that allows technicians to scan in pieces of equipment in the field and report on any issues that need addressing. We are creating a full medical practice management system for this Cincinnati based cosmetic surgeon. The system includes marketing, scheduling, image storage, patient medical information, inventory, and invoicing. The software will be available to other medical practitioners across North America in early 2010. NOW Magazine, Toronto's weekly news and entertainment voice with weekly circulation of over 110,000 copies selected hind-smith.com to create a listing management system for their art, music, stage, film, and food sections – as well as their Guides. The software allows editors to enter and manage information about various listings quickly and intuitively. Once the listing has been accepted, the system interfaces with Adobe InDesign to export the data directly from the FileMaker application so that it is formatted and print ready for publication. At the same time, the web edition at www.nowtoronto.com will pull and format the same information into the ColdFusion driven website. Communications Nova Scotia Is the central communications agency for the government of Nova Scotia. CNS was formed in 1996 and includes communications planning and support as well as production services. Standardized and simplified the storage and retrieval process of project related information. Increased the ability to share project related components. Facilitate a method of charging for the re-use of project components. Established common business processes for billing and invoicing. Enabled agency wide statistical and management reporting. Improved access to project related components. Integrated with the province’s SAP system. As part of St. Joseph Content, one of four platforms within St. Joseph Communications, Pi Media delivers hybrid, enterprise solutions that integrate their content creation resources with print, documents, and media. We built their docket and workflow management system that controls their day to day and management activities that includes estimation, scheduling, revisions, production reports, and invoicing. Toronto's North by Northeast Music & Film Festival and Conference (NXNE) chose hind-smith.com to create and support the festival artist, venue, registration and scheduling system. The application allows the program managers and operations staff to select and schedule the over 500 bands spread among 50 venues in Toronto, and subsequently register the 70,000 attendees attending the festival. The system also interfaces the myNXNE website http://nxne.com/music/schedule, a unique online feature activated to coincide with the lineup announcement. Fans can log on, listen to MP3s from NXNE bands, choose the shows they want to see, and create a schedule for themselves. Heart and Stroke Foundation of Canada (Ottawa, ON) Is a national voluntary non-profit organization whose mission is to improve the health of Canadians by preventing and reducing disability and death from heart disease and stroke through research, health promotion and advocacy. We have created a docket system for Heart and Stroke written in FileMaker 8.0 to control all facets of their print production operations so that print projects are budgeted, produced, and distributed in a controlled manner. Canadian Association of Insolvency and Restructuring Professionals is the national professional organization representing 887 general members acting as trustees in bankruptcy, receivers, agents, monitors and consultants in insolvency matters. We have enhanced and support their registration and educational (NIQP) systems. Canadian Film Centre founded by Governor-General Award recipient and Academy Award®-nominated filmmaker Norman Jewison, the CFC opened its doors in 1988 as a film training centre and has grown into Canada’s largest institution for advanced training in film, television and new media. We created an integrated system in FileMaker that allows them to manage contact related activities including communications, applications, submissions, interviews, festivals and many more. We created an online ad management system for this publisher of children’s magazines. Advertisers are able to submit and proof their ads online, with the system collating all the ads and outputting a print ready 300dpi PDF. The George Cedric Metcalf Charitable Foundation was established in 1960 and is focused on distributing grants in three specific areas. We have created an integrated system in FileMaker 8.5 that will ties together contact management, email and print correspondence, grant information and process, payments, with a connection to their accounting system. We built this firm an enterprise system to manage their Film and Still photography studio. The system estimates (very complicated for the film side), production, call sheets, purchase orders, and invoicing. Established in 1986 and based in Toronto, The Works is a full-service corporate communications studio. At home in print and online, their award-winning annual reports and corporate Web sites demonstrate their strengths in graphic design, Web design and investor relations. We created their docket system that controls all aspects of business development, estimation, production, and invoicing. Innovation Insights is an arm of the Canadian Manufactures & Exporters. Their mission is to work with firms that have best practices and invite other firms to tour the host firms, providing an exceptional day of learning and include an interactive best practice presentation, networking session and plant tour. We are supporting and enhancing the FileMaker based application that registers and coordinates all event activities. Mississauga Living Arts Centre is a 225,000 square foot multi-use facility, which opened in 1997. The Centre has quickly become the home of arts and culture, and arts educational experiences within the greater Mississauga region. We are supporting and enhancing their integrated FileMaker 6.0 based system that drives their core administrative activities. Sister companies Marlow and Leeds are one of the largest promotional products conglomerates in the world. They have selected hind-smith.com to program their FileMaker based web based catalogue system to support their relationship with FIFA and the upcoming World Cup 2006. End users will include staff at Coke, Fuji Film, Yahoo, and other global brands. More on this relationship can be found here. Technologies used include FileMaker 6.0, Microsoft IIS, and Lasso. krplink Is a professional services firm specializing in Integrated Brand Marketing Communications (IBMC), krplink works with clients to identify and achieve their business and communications goals. We have partnered with krplink to build an online registration and reporting system to reinforce their full service conference and event planning with sophisticated technology. We are providing individualized HTML e-mail and print invitations sent to potential attendees whose names are drawn from the end client’s database. Registrations for conferences can be completed on-line on a new, secure website. Confirmation e-mails and letters can be sent to attendees. hind-smith.com also provides backend reporting on registration activity. This occurs in real time so that krplink can provide quick feedback to its clients. The mechanism allows clients to view registration activity through a secure web portal. Web and backend reporting were built on a FileMaker 6.0, Microsoft IIS, and CDML platform. Foreign Service Examination and Career Counseling (Ottawa, ON)helps individuals prepare for a position at the officer or executive level, or higher, in the public and private sectors. We built and host three ecommerce sites for them on our SSL 3.0 enabled ecommerce servers. The ecommerce databases are built on a FileMaker 6.0 platform, allowing our client to easily view and fulfill orders on the web as the orders appear directly in their local copies of FileMaker the instant they are submitted. First Choice Hair Cutters is the dominant price value family hair care chain in Canada. We have created a system in FileMaker 8.0 that collates sales data from over 50 of their franchise locations to provide consolidated management reporting and integration into their accounting systems. Raeber is a successful marketing and design firm in the heart of Canada. We are building them a customized docket system in FileMaker 8.0 that will manage all aspects of business development, estimations, dockets, timesheets invoicing, and reporting. As well, the system will integrate seamlessly with QuickBooks. Inform Group is a communication firm that specializes in helping government and public agencies formulate and deliver strategic messages. We work with the company to supply web based database technology to support the electronic marketing projects they deliver to their clients. Riddoch Communications is a multi-disciplined design firm with clients in a variety of industries. We have built the fim a docket system in FileMaker 7.0 to handle estimations, requests for quotations, production, and invoicing. Q30 Design is a design consultancy that works with organizations to help define and communicate brands. We support their FileMaker docket and invoicing system, based on the Studio Manager package. Bruce Mau Design collaborates with some of the world's leading architects, artists, writers, curators, academics, entrepreneurs, businesses and institutions. Since its inception in 1985, Bruce Mau Design has gained international recognition for innovation across a wide range of business and cultural disciplines. The firm is collaborating with a New York design company on their latest publication. We have built a web based collaboration tool with a Filemaker 7.0 backend so that the research information and images that will eventually comprise the book can be collated, shared, searched, and edited in real time. The Autumn Group is an integrated agency offering traditional and interactive solutions to their clients. We are enhancing and supporting their installation of the FileMaker based Organizer Pro solution. Stash Media produces a monthly DVD magazine for animation, VFX, and motion graphics. We supply Stash with FileMaker hosting services so that personnel in New York and Vancouver can share their FileMaker databases without the expense of setting up their own IT environment. Community Association for Riding for the Disabled strives to improve the lives of children and adults with disabilities through quality therapeutic riding programs. We support their legacy FileMaker 6.0 system and have improved their network and backup infrastructure. Interfusion is a strategic marketing firm with blue chip clients around the globe. We partner with them to provide emarketing solutions for the Sony Store. Ketubah Ketubah is an on-line gallery and shop specializing in Jewish marriage Ketubot and other Judaica. We are bridging their in-house FileMaker system with their online ecommerce site built in ASP.net, giving them the best of both technical platforms. As well we provide overall network and other IT support. Camp Kirk offers a safe and structured social environment in which children with learning disabilities can begin to experience themselves in a positive way. We support their legacy FileMaker 6.0 system and have improved their network and backup infrastructure. StudioType is a creative design studio with several large automotive clients. We built a docket and invoicing systems for them to help them properly manage their workflow and analyze costs. Camp Oochigeas is the only camping facility in Ontario that offers chemotherapy treatment onsite. 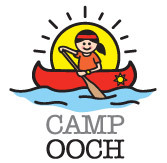 This unique aspect allows children who are on treatment, as well as those who are not, to attend Camp Ooch. We support their legacy FileMaker 6.0 system and have improved their network and backup infrastructure. DSC is a leading supplier of intrusion alarm products to the global security industry. We provide DSC with FileMaker training and support services. ArtofDisplay.com is a full service exhibit house focusing on project management and show logistics. We created an enterprise system in FileMaker 7 to control all aspects of their business development, estimates, dockets, graphic inventory, invoicing, and reporting. Wellspring Pharmaceutical is a pharmaceutical company that develops and markets niche products licensed or purchased from major pharmaceutical companies. hind-smith.com rewrote a series of FileMaker applications that control and manufacturing and packaging processes at Wellspring. Logos Brands is an integrated, full-service design house that specializes in the development and implementation of corporate and packaging graphics. We have helped Logos rewrite their estimation and docket control systems in FileMaker, and created a completely new web portal into this system so that clients could view in real-time updates to their projects. Colour Innovations is a full service printing facility offering Digital Photography, Scanning and Retouching, Film Output, CTP (Computer-to-Plate), DAM (Data Asset Management), and Multi-colour Lithography services. We worked with and enhanced their existing FileMaker system to help the sales team create RFQs (Request for Quotations) consistently and quickly so that the estimation team could turn them around quickly. Clinical Pharmacology Services performs clinical research, patient care, consulting, education, and legal consulting in the pharmacology arena. We have helped CPS migrate an Outlook based Legal Case Database into a robust FileMaker solution, providing support and consulting services. Sun-Canadian Pipeline is a subsidiary of Sunoco that runs a pipeline throughout the southern Ontario corridor. We upgraded their FileMaker systems from v3.0 to 6.0, and provided user and advanced training to their team. Canadian Scholars' Press provides instructors at the post-secondary level with a wide variety of options in sharing material with students and colleagues. We have helped CSPI consolidate various FileMaker and Windows address book databases into a single enterprise system, and streamline their print on demand system so that it is driven completely by FileMaker. Crammond Dickens Lerner is an up and coming European ad agency. We built an integrated estimation, job bag, and invoicing system customized to their exact specifications. Aware Marketing Group has been listed for five years in Profit Magazine's list of Canada's 100 fastest growing companies. We provide them with onsite FileMaker programming resources to support their enterprise order entry, manufacturing, and import systems. Take a look at their website (www.aware.ca) to check out the web enablement of their catalogue we performed. Emond Montgomery Publications serves the academic law and law-related community with outstanding texts, casebooks, and related legal teaching material. We are integrating a FileMaker based accounting system into their operations to control sales, inventory, and payables. TelePartners is a direct marketing and CRM company. We provided project management services to launch a major new contract on behalf of a federal government agency. (Click here to read the case study). Custom Specialties is an Arizona distributor of promotional based products. We remotely repaired some significant issues they were having with their databases without interrupting the day-to-day operations of their business. Superior Computer Services is an Ontario based software developer. We have helped them build specific modules for software projects they are working on. White Dragon Media is a preferred channel for buying television advertising in the People's Republic of China. We support their website, email, and other Internet support requirements. ADS Studio Productions is fully integrated media production company specializing in state of the art creative audio design solutions from concept to completion. We built some specialized CD and cassette labeling modules for the company. The Canadian Centre for Occupational Health and Safety promotes a safe and healthy working environment by providing information and advice about occupational health and safety. We helped them install and troubleshoot their FileMaker server running under Macintosh OSX. Russ Taylor Renovations provides the finest basement and home renovations in Oakville, Mississauga, and Toronto. Somerville McDonald is the alignment of two organizations to address and realize synergies in the electrical distribution construction industry. We built them a Work Management Database (WMD) that was remotely accessible, contained robust reporting functionality, expandable and versatile enough to address the changing needs of new contracts and clients in FileMaker 8.5.